A round robin is a group of people participating to contribute to each other’s quilts, where the entire project is passed around the circle, with each person contributing. In each group of four, the kids will sew one section for their own quilt and one section for each of the other three quilts. When the project returns to them, they will have four completed units to put together a 40” x 40” quilt top. Officially starting May 1, the kids will each sew their first 20” x 20” block or 10” x 40” row in May. (Of course parent help is allowed!) Then the first of the month in June, July and August their project will be passed to the next person in their group. September 1st the package will return to them so the quilt top can be put together and quilted. My kids have each decided on the theme for their quilt. My daughter, R, will be making a cat quilt, and she’s chosen a geometric block featuring Tula Pink’s Disco Kitty fabric. She’ll be sending some extra Tula fabric along in case the other kids would like to include it in their blocks. My son, G, has decided on a sports theme for his quilt and is featuring baseball in his first block. He’ll be piecing his first inset circle and using applique in his design. 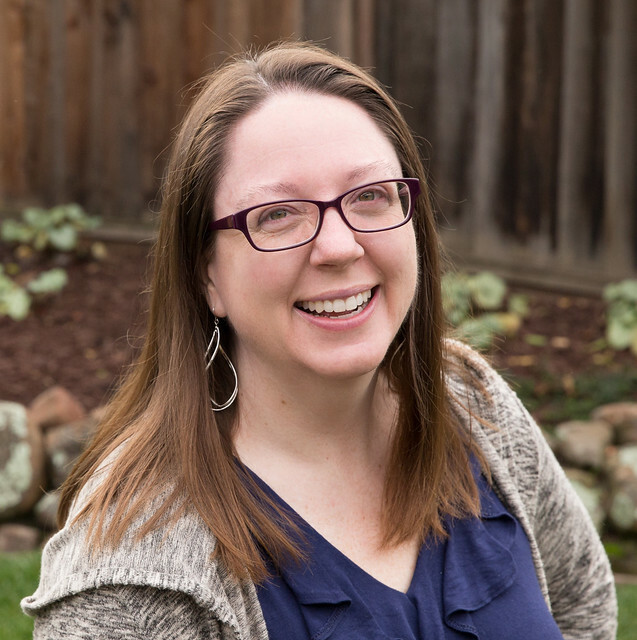 I’ll be sharing our KQRR sewing each month, and in November we’ve planned a blog hop to show off the finished projects. If you have a young quilter, we’d love for you to sew along with us at home. Tag Me @sarahmgoer and Sarah @berrybarndesigns on Instagram with your progress shots. My biggest tip for sewing and quilting with kids is to work in small chunks of time (and to take a break if either of you get frustrated). One block or row a month is a good, slow pace in my opinion. When sewing with my son on his first quilt, sometimes it would just be one or two seams that we’d put together in a sewing session. All those little bits add up! I look forward to sharing what we create in the round robin and seeing what your young quilters create. Happy sewing! Posted in Quilting. 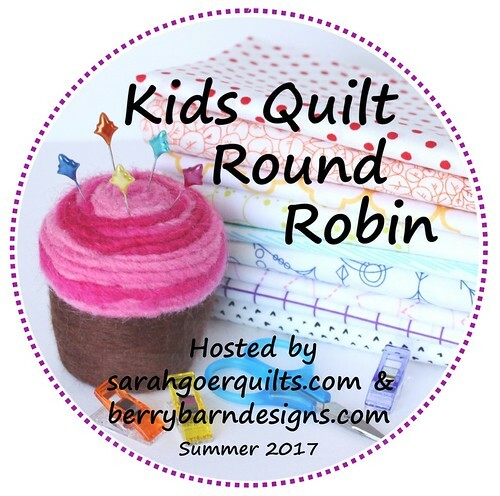 Tags: KQRR, quilting with kids, sewing with kids on April 28, 2017 by sarah. Thank you, Lisa. The kids are excited. It should be fun. I'm excited to see what colors/themes each child picks. This is going to be wonderful to watch. Great idea! Thank you, Yvonne! I'm excited to see what all the kids start sewing. What a great idea Sarah. This will be so fun to watch as it progresses. Thank you, Bernie. I'm excited to be getting started. I definitely have to work in small increments with Z. I love how you said "to take a break if either of you get frustrated". Ha! It definitely happens here, mostly me. So, I am still a little confused about how to do this. This first month she makes a block for her own quilt and then in June she ships to the first on her list?